I have been fortunate to speak at many different venues including radio, TV, and other media. I also regularly present at workshops and professional conferences locally, nationally, and internationally. 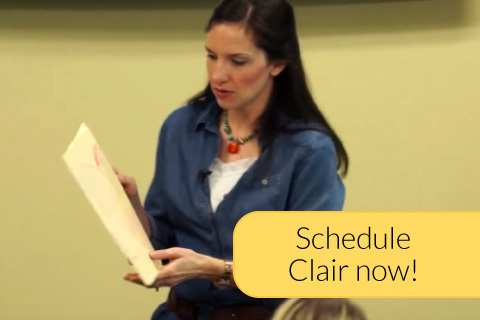 "Clair is a fantastic speaker! She weaves theory, practical exercises and case examples into a dynamic and engaging presentation that was informative and entertaining."